Change your mind, and you can change the world. Let me guide you to create a limitless business + life. Do you know what some of the most successful people in the world like media queen Oprah Winfrey, hip-hop mogul Russell Simmons, and billionaire philanthropist Richard Branson have in common? They meditate. The Conquer Meditations were created with entrepreneurs, like you, in mind. The guided meditations will help you work through blocks and limiting beliefs, get laser-focused on what’s most important, magnetize more of your ideal clients, power up your wealth mindset, and ultimately create an abundant business and life you love. 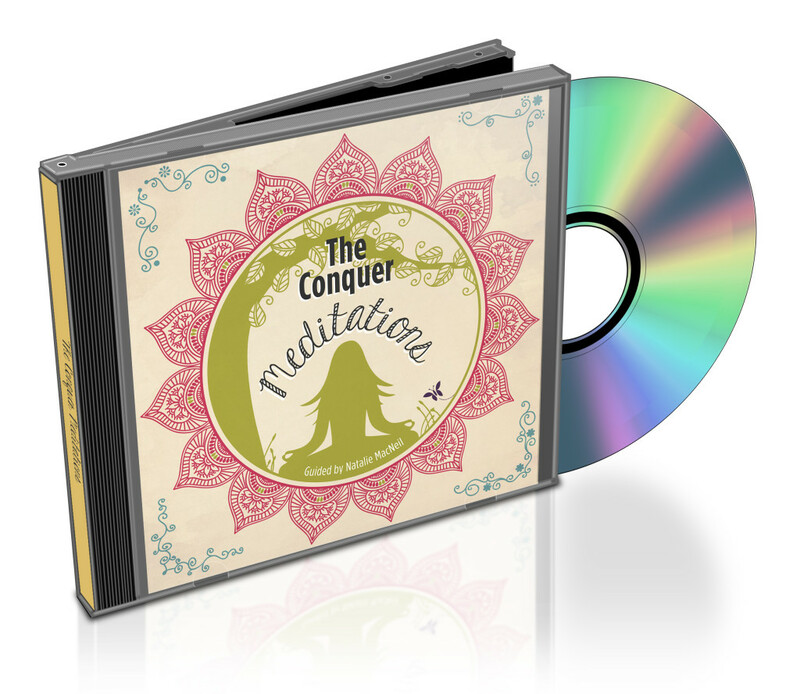 The Conquer Meditations album was created for you to be able to choose an area of your business or life that you want to work on, and do the meditation that best serves your intention. You can choose to do a different one every day at the same time as part of a daily routine, or you might want to turn to the meditations only when you feel really stuck. It’s totally up to you how often you want to spend some time diving within. Please note: The Conquer Meditations album is available as a digital download only, which you will receive after you make your purchase. It was a privilege to create a meditation album that focuses on entrepreneurs, and I’m excited to get to meditate with you. Complete your purchase below, and I’ll see you on the other side! *You’ll be taken to an order form to complete your payment and get access to a link to download the Conquer Meditations. If you have any issues at all with your purchase, please get in touch with our customer happiness team at theconquerclub@shetakesontheworld.com.